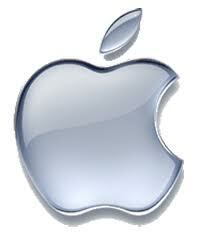 The products of Apple Extraordinary - Apple Inc. is an IT company in the field of hardware and software. Uniquely this company does not manufacture its own hardware but hardware devices are acquired from other companies. Call it the Samsung which is the main manufacturers of the screen at various Apple devices, but now Apple is competing with Samsung and this makes Apple take keputusun to minimize or even eliminate the supply of hardware from Samsung. Large companies with apple logo bitten edges slightly this resulted in tools that are specific to middle and upper class, why? Because the price of its products is high when compared to other brands with the same specs. The late Steve Jobs is the founder of the Apple company. Somehow this man started his business but the results were very satisfying because pasa share of Apple products continue to rise. Under the auspices of Steve Job's company has produced a variety of special products, namely the iPhone, iPad, iPod and so on. Want to know more about the special products that have been made by Apple? Yep, I'll discuss below. From the name alone you definitely have to guess as to what the product is, the letter i on the iPhone indicates that this product uses the iOS operating system, the operating system specifically for mobile devices Apple products. While on the Phone indicates that this device is a phone or a mobile phone that is now more often called smartphones. There are so many products that have been released for the Apple iPhone, say iPhone 2, iPhone 3, iPhone 4, iPhone 4S is the most recent and now is the iPhone 5. The products are named by stating the numbers behind the iPhone, the numbers showed his generation, eg iPhone 2 means the phone is a second-generation mobile phones. In addition, it is done so that consumers and people more easily recognize iPhone products. Macbook is a notebook or leptop with Macintos operating system. Macintos's operating system is known as a secure operating system and charming design, it must have been the main factor that one advantage of Apple's products. Because the price is different than the average notebook price then this device is still rarely used to have, which is why the cracker too lazy to make a virus for it's operating system. Although it is now increasingly user Macintos so likely a virus or malware will be even greater. Macbook Pro is actually not much different from the Macbook. Macbook pro behind the word indicates that this product is made specifically for the professional circles. Macbook Pro and Macbook difference is from the specifications, which complements the Macbook Pro hardware with the latest features and advanced, call it retina display as one of the flagship features of the Macbook Pro. iPod is a device that serves to play music, as the development is now the iPod is equipped with a wide screen, the IOS operating system and can be used to run the same applications as the iPhone. Because this device does not work to call and send sms then the device is priced at a much relatively cheap. iPod touch only appreciated only about 2 million iPhone 4's sedangat appreciated more than 4 million (if not mistaken).